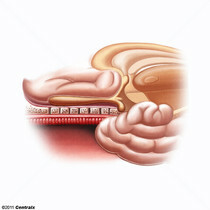 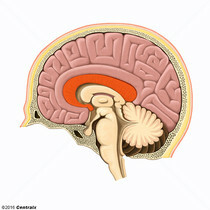 Broad plate of dense myelinated fibers that reciprocally interconnect regions of the cortex in all lobes with corresponding regions of the opposite hemisphere. 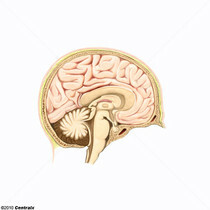 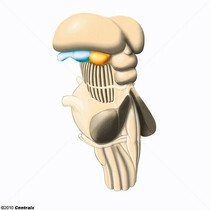 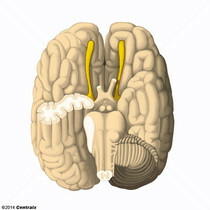 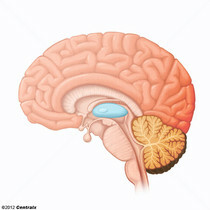 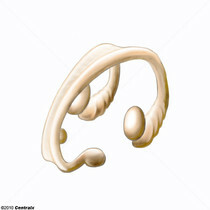 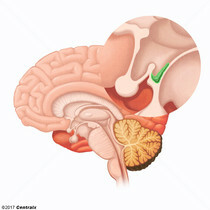 The corpus callosum is located deep in the longitudinal fissure. Derived from TELENCEPHALON, cerebrum is composed of a right and a left hemisphere. 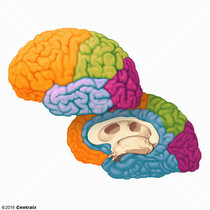 Each contains an outer cerebral cortex and a subcortical basal ganglia. 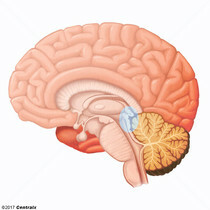 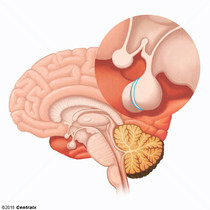 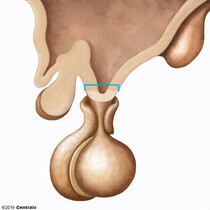 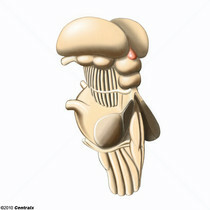 The cerebrum includes all parts within the skull except the MEDULLA OBLONGATA, the PONS, and the CEREBELLUM. 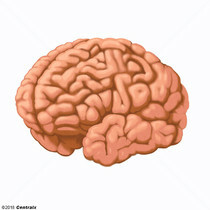 Cerebral functions include sensorimotor, emotional, and intellectual activities.